This Post has already been read 755 times. Quenzon City in the Philippines, has topped the list of most searched for locations in the first quarter of 2015, in a new ranking today released by Pakistan’s best property portal, Lamudi.pk. The ranking is based on the most popular search terms in the first three months of the year, from the real estate portal’s onsite data, which covers 32 countries across Africa, the Middle East, Asia and Latin America. Quezon City – the most populous city in the Philippines and Metro Manila’s largest city – had the greatest volume of online search traffic. According to onsite data, almost 50,000 searches were carried out by consumers looking for property in Quezon City; currently, Lamudi Philippines offers almost 7,000 properties to buy or rent in the area. The area’s residential property market is currently thriving, with the city also boasting an abundance of commercial real estate, including condominiums, shopping malls and offices in development. Onsite data revealed Karachi, Pakistan’s largest and most populous metropolitan city, was the second most searched for location in the first quarter of the year; over 44,900 searches for one of Lamudi Pakistan’s 52,833 listed properties in the city were carried out between January and March. The Indonesian capital of Jakarta ranked in third place, with 36,315 searches in Q1 2015. Whilst the cost of living in Jakarta is high, this has clearly not deterred property hunters from searching for real estate in Indonesia’s largest city. The most populous city in Nigeria, Lagos claimed fourth place in the global ranking, and the most searched for city in Africa. 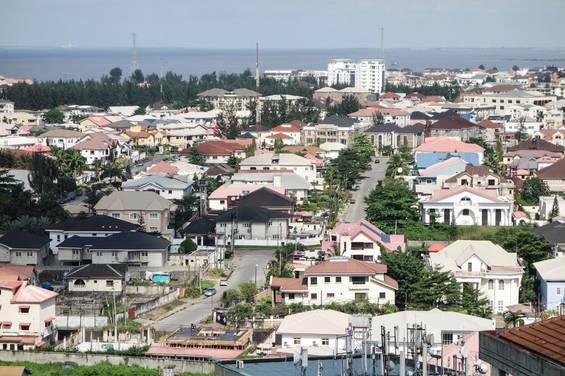 More than 34,100 users used the Lamudi website to look for property in Lagos, where the portal has over 26,000 residential and commercial properties, as well as land and developments, available. Rounding out the top five most searched for locations, is another of Pakistan’s largest metropolises – Lahore. The first three months of 2015 saw 32,309 searches for real estate in Lahore, the capital city of the Punjab province.